If you're ready to book your brake service click the vehicle make below. For more info on brake service read this page. Replacing the brakes on your vehicle is one of the most important jobs to have done for both safety and functionality. Driving the unpredictable roads of Calgary, Alberta will remind you of that very quickly! As a rule of thumb, you should have your brake pads inspected about every 15,000 to 20,000 kilometers, and obviously have them replaced if the material lining of the pad is worn down so far that it triggers the replacement sensor on your display. The smartest thing to do is have your brake pads replaced by professionals right the away, come to Euroworks and have this service completed by trained professionals. 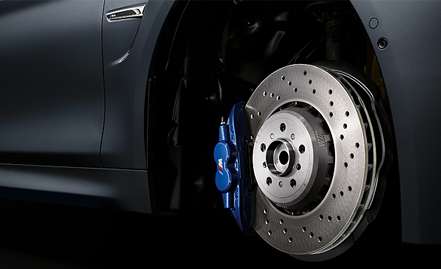 Euroworks is also an Authorized Brembo Brake Dealer. For all of your Upgraded Brembo Braking and Brake packages; ask our Euroworks Parts Department about Brembo Braking Packages, you can call us at 403.291.6839 or email us at parts@euroworks.ca.